All out for November 29th federal court hearing—most important of the case—in Detroit! If you’re not in the Midwest and can’t make it to Detroit, organize a solidarity event in your city! The Rasmea Defense Committee is calling on everyone to mobilize for Detroit on November 29th, and tell us here that you’re attending or if you need a ride or if you can provide transportation! Supporters from Chicago and other parts of Illinois, Milwaukee, Detroit / Dearborn, Grand Rapids, Minneapolis / St. Paul, Cincinnati, Indiana, and other Midwest areas are already committed to attend. In addition, NY is organizing a solidarity action on November 28th, Harvard Law School is discussing the case on November 11th, and others in Florida, Texas, and California are planning actions as well. If you are NOT in the Midwest, we are calling on you to also organize support events for Rasmea on or around November 29th. Again, it is the most important hearing in the case, and it also falls on the International Day of Solidarity with the Palestinian People, so there may already be Palestine support forces near you that are organizing events we can join with Rasmea’s story. Let us know once it’s scheduled, by emailing info@stopfbi.net. And continue to support #Justice4Rasmea by donating to the defense, and staying in touch through justice4rasmea.org and justice4rasmea@uspcn.org. On Tuesday, November 29th, 2016, the International Day of Solidarity with the Palestinian People, Rasmea Odeh will once again be in a Detroit courtroom—this time for the most important hearing in her case to date—before Judge Gershwin Drain. This Daubert hearing will, in all likelihood, have two mental health experts from each of the prosecution and defense sides testify before the judge, and then he will hear legal arguments as to whether the testimony of Dr. Mary Fabri—the clinical psychologist from the world-renowned Kovler Center for the Treatment of Survivors of Torture, who diagnosed Rasmea’s Post-Traumatic Stress Disorder (PTSD)—is scientifically valid and applicable to the facts of the case. the hands of Israeli military interrogators in 1969, affected her answers to questions on complex immigration forms decades later in the U.S.
Judge Drain originally ruled her testimony irrelevant and inadmissible, which led to Rasmea’s unjust conviction; but earlier this year, the Sixth Circuit Court of Appeals ruled that he had erred, and sent the case back to him for the Daubert hearing. Recently, Rasmea was subjected to 17 hours of mental examination by a government expert. Her defense had argued strongly to oppose this questioning prior to the November 29th hearing, but Judge Drain still allowed it. Even though the government continues to try to challenge Rasmea’s story, and claim that she does not have PTSD and did not get brutalized by the Israeli authorities in the 60s and 70s, Rasmea remains steadfast and strong, and will continue to exercise her constitutional right to assert a meaningful defense. Rasmea and her lawyers are confident that the results of this hearing will lead to a new trial sometime in early 2017, in which Dr. Fabri will testify before a jury, and the details of Israel’s torture and crimes against Rasmea will be heard. But if Judge Drain rules against her on November 29th, we will again appeal the decision. That is why we are mobilizing heavy for this hearing. It is as important a moment as any we have had in the case. 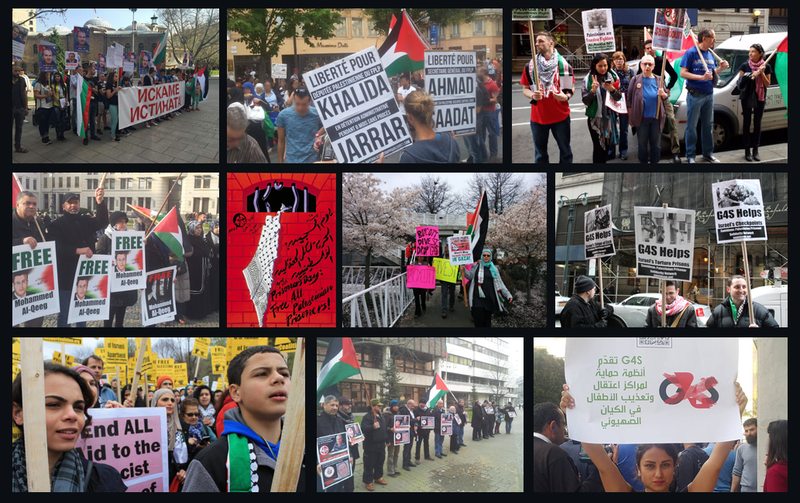 From the beginning, the Rasmea Defense Committee has pointed out that the legal proceedings against Rasmea are nothing but a pretext to intimidate those who organize and struggle to realize a liberated Palestine. Demonstrations in support of her have taken place across the U.S. since her arrest in 2013, and we are again going All Out for Detroit on November 29th.